Closely resembles the picata race of Eastern Pied, but is larger, with ‘bull-headed’ appearance and more upright stance. 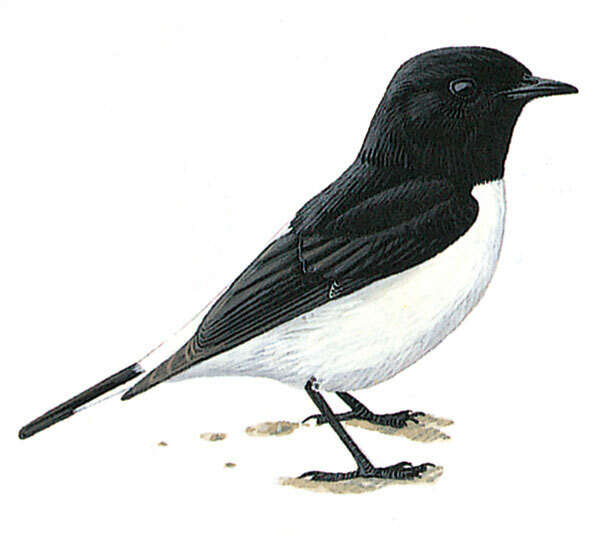 Black parts more glossy; black throat has slight side-extension and is thus less ‘bib-shaped than Eastern Pied; also white on back extends farther up between wings, where border to black mantle is rounded (square-cut in Eastern Pied); underwing less contrasting; tail pattern like Eastern Pied (which see). Juvenile like adult but black replaced by matt blackish brown.